In cases like heart burn, gastric reflux or indigestion, it is usually automatically assumed that the patient must have too much acid in the stomach. Too much acid is correct. But the real question is, “Which acid and where is it coming from?” And how can you tell if it’s too high or too low? 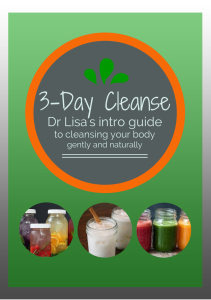 These are all very important functions, and if HCl is deficient, neutralized or suppressed, it will negatively affect the rest of the digestive functions, causing more problems down the road such as bloating, gut infections, parasitic infections, SIBO (Small Intestinal Bacterial Overgrowth), constipation and others. But what happens when a person goes to the doctor complaining of heartburn, reflux, or indigestion? They get a prescription for something that either neutralizes the acid or blocks its production. Now, this can temporarily make the patient feel better, but as you can see, it may not always be the best choice. What Else Can Cause Acid in the Stomach? This is a controversial topic, but I challenge anyone to truly look at the physiology, especially if nutritional deficiency, pathology or infection is involved. Hypochlorhydria (a state in which the stomach does not create enough HCl), can also, in a round-about way, cause the stomach environment too acidic. Allow me to explain. . . If adequate HCl is not present in the stomach, the protein you have eaten will begin to putrefy and ferment because there is a delay in gastric emptying. This process creates organic acids coming off the rotting food, causing the stomach environment to become too acidic. This acid can mimic symptoms of increased gastric secretions. A note about reflux: when the contents of the stomach become acidic enough, they dump into the small intestine for continued digestion. If this process isn’t happening on time due to low HCl, what can develop is a situation where instead of going down, the food or stomach juice comes up. For a more detailed look at this process, please see my article The Importance of Hydrochloric Acid for Proper Digestion. *Also to be noted here is that if adequate HCl is produced and secreted, but excess water is consumed during meals, the HCl can become diluted, leaving it less effective. So How Can You Tell if You Produce Too Little HCl? Without adequate HCl, protein will not be broken down properly. This results in seeing shifts on blood chemistry markers, especially Total Protein and Serum Globulin but also BUN and Phosphorus. When protein isn’t appropriately broken down due to low HCl, Total Protein and Globulin will elevate on blood chemistry panels. At the same time, if HCl is lacking and protein is fermenting, protein may break down too quickly and we will see Total Protein and Globulin coming back under the optimal range. Therefore, if Total Protein and Globulin levels are outside the optimal range, hypochlorhydia should be considered. If you have an inflamed stomach lining, gastric or duodenal ulcers, elevated cortisol which thins the stomach lining, or gastric bleeding, you may feel worse when you take HCl. I made this mistake years ago when I was first in practice. I “assumed” the patient was low in HCl because she had all the classic symptoms. So, off she went with a brand new bottle of HCl. That night, she called me from the ER because she was doubled over in pain shortly after she took her first dose. It turned out that she had an ulcer, which we later determined was due to an H. pylori infection. A commonly used practical way to see if extra HCl might help you is to take a tablespoon of apple cider vinegar between the 1st and 2nd bites of a meal. If your usual symptoms improve, you will likely to well with HCl. If your burning increases, you should avoid HCl, and do a month on a healing protocol instead. I like the ingredients in Glutagenics which are L-glutamine, deglycyrrhizinized licorice, and aloe leaf extract because it is very healing and soothing, and it’s designed to support the integrity and healthy function of the gastrointestinal lining. For fast relief and to increase defenses in the stomach lining, I like Zinlori which contains a patented zinc-carnosine complex. How Can You Tell if You Produce Excess HCl? Since the symptoms of high HCL and low HCl production are virtually identical, it can be difficult to differentiate. If you have high stress or elevated cortisol, your HCL may be in excess. If your cortisol is depleted due to prolonged stressors, chronic infections, food sensitivities or poor lifestyle, you are more likely to have lower HCl. If you have a recent and new onset of H. pylori infection, this may initially cause excess HCl. But if the H. pylori went undetected or untreated for an extended period of time, it is more likely that your HCl is suppressed. H. pylori burrows under the stomach lining, degrading the parietal cells which are responsible to secreting your HCl. In this case, you may not be secreting adequate amounts. If you’re willing to swallow an electronic device, the Heidelberg Stomach Acid Test can be administered. This is considered the Gold Standard for assessing stomach acid. DO start off slowly. Take 1 with a protein meal (chicken breast, steak, etc). If no relief is achieved, wait a day and take 2 with your next protein meal. If this does nothing, you may increase at a similar rate (within reason) until relief is achieved. 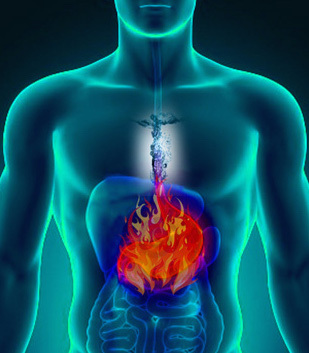 If you begin to notice burning in the stomach or even into the intestines, wait 2 days, then decrease your dose by 1. DO use a good quality HCl product that also contains pepsin. I like Metagest, but there are other good products on the market. DO expect and adjustment period. If you have been on PPI’s (proton pump inhibitors) or other medications that suppress HCL, you may have an initial increase in your reflux symptoms as your body begins to restore its function. This can last up to 2-3 weeks. Be patient. If need be, I tell patients to go for something to neutralize acid such as TUMS rather than go back to the PPI. DON’T take HCL on an empty stomach. Ever! DON’T take with anti-inflammatory medications such as Aleve, Advil, Motrin (or the generic equivalents such as ibuprofen) or aspirin, especially if you have been on these for an extended period of time. This is a lot of information to take in. It can be confusing, as there are multiple factors to consider: too high vs too low, dosages, the adjustment period, other conditions that may mimic high or low HCl symptoms. That being said, it is advised to work with a professional who can help you sort it out as well as monitor your progress. After all, it’s not every day that we go around suggesting that you ingest acid! These statements have not been evaluated by the Food and Drug Administration. These products are not intended to diagnose, treat, cure, or prevent any disease. These suggestions are not intended to replace medical care. They are to be considered nutritional support and an adjunct to medical care. Hi I have been supplementing with different brands of Betaine HCL 650mg, on and off for nearly a year. Which is due to previous PPI use during and after pregnancy (I also have a high positive Sibo result.) No other tests as yet. I am now up to 14 capsules and still have not found my limit yet! I’ve given up with HCL capsules as it’s no fun taking this many before a meal. Have you any other advice on alternative methods?? . I’m considering acupuncture to stimulate vagus nerve. Your advice and experience is invaluable for me at the moment. Thank you. Great question! So some people never find their limit. I’m assuming you’re referring to the challenge where you increase by 1 tablet or capsule per meal until you feel the burning sensation? Some people never feel it, but it doesn’t mean they should keep increasing. I usually stop people at 7/meal but that’s when I’m using the brand and dosage I use in practice. My favorite is Zypan, which also contains pancreatic enzymes (which could very well be helpful for you). What you might do instead is try to stimulate your body’s own ability to produce and secrete HCl. Digestive bitters can do this. Look for a brand without senna. I use Digest Forte by MediHerb. You’ll need to replenish minerals so your body has the ingredients it needs to make the HCl. Mineral salts can be very good. Some patients have successfully restored their HCl output by juicing fresh celery and/or cucumber first thing in the morning. You would need an actually juicer that extracts the juice from the pulp as opposed to a Vitamix or high powered blender. Another idea is to drink a large glass of water about 20 minutes before you eat, and then DON’T drink any water or liquids during your meal. Water before will stimulate the HCl. Water with a meal with dilute any available HCl (which you obviously don’t want to do). Lastly, stop and take some slow deep belly breaths before eating to switch your body into parasympathetic mode. Wishing you the best! !